Start your nursing future now. Don’t wait to become a nurse. Accelerate your career through Concordia's ABSN program. You don’t have to wait to become a nurse. If you’re thinking about becoming a nurse, you could fast-track your nursing degree through our Accelerated Bachelor of Science in Nursing (ABSN) program. 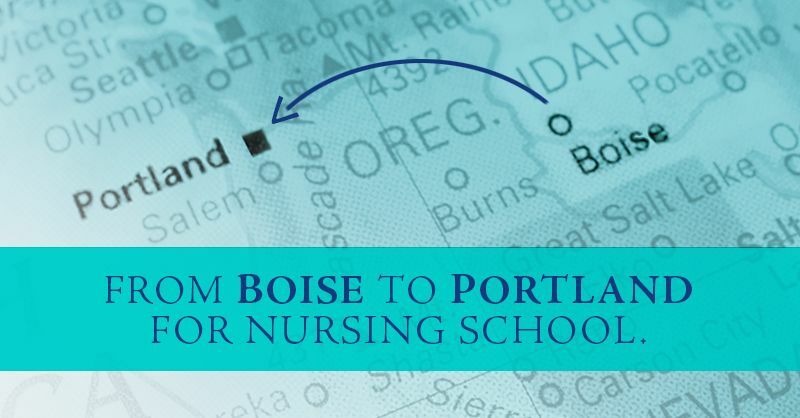 Concordia University-Portland’s accelerated nursing program allows you to earn your BSN degree without a prior bachelor’s degree or health care experience. As a student of Concordia’s ABSN program, you will be empowered to succeed through experiential learning and supportive faculty – all of which prepare you for a fulfilling nursing career. After as few as 16 months of accelerated nursing study, you could graduate with an ABSN degree, ready to sit for the NCLEX licensure exam. Skills labs where you’ll start to get comfortable with nursing equipment. Simulation labs where you’ll run through possible clinical scenarios. Clinical placements where you’ll care for real patients under clinical faculty. If you are ready to start your nursing school journey, please contact an enrollment specialist at 866.892.1562 and learn more about our Accelerated BSN program. When students enroll in our Accelerated BSN program, they should prepare themselves for a fast-paced, immersive nursing education. It starts with online coursework that prepares you for skills and simulation labs, which is all reinforced with in-hospital clinical rotations. Clinicals start in your first semester and will correlate with the topic you are studying at the time. Because the ABSN program is rigorous from the beginning, it is important to complete all the necessary prerequisite courses. These prereqs lay the foundation to your nursing education. Our Accelerated BSN program offers three start dates per year in January, May or August. Find out if you’re eligible to enroll in our next cohort. Concordia’s ABSN is a 16-month, CCNE accredited fast-track nursing program for students in Portland with a previous non-nursing education. Through hours of in-hospital clinical placements at top health care facilities in Portland, you will learn to care for the whole patient – mind, body and spirit.